If God has appointed angels to encourage each blade of grass, how much more must he have for you? 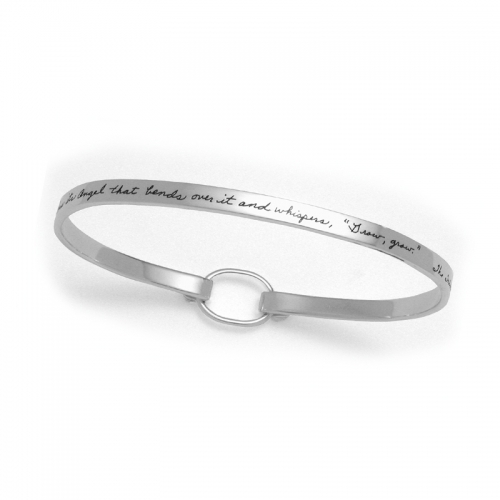 Wear this bracelet to remember the divine presence moving in your life. This inspirational quote from the Talmud encourages whoever wears it to listen for spiritual whispers. Don’t let the world’s relentless noise and distractions drown out the divine call on your existence. The solid sterling silver band features a fine round circle, the universal symbol for completeness. We engrave the bracelet with distinctive handwriting and polish each piece by hand.